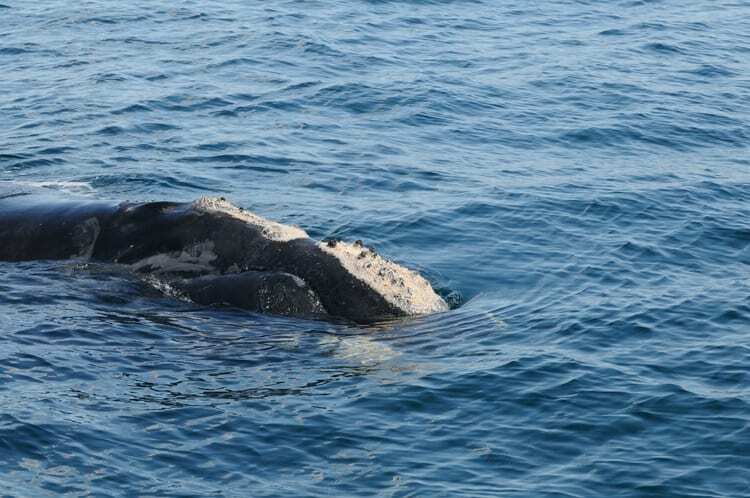 Two robots equipped with instruments designed to “listen” for the calls of baleen whales detected nine endangered North Atlantic right whales in the Gulf of Maine last month. 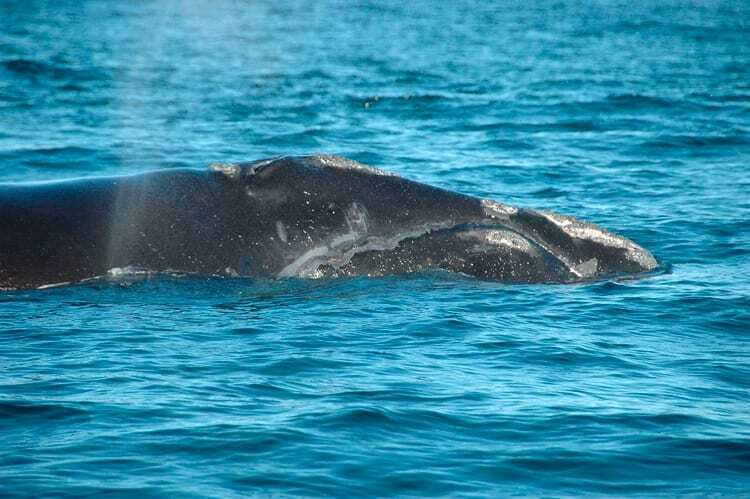 The robots reported the detections to shore-based researchers within hours of hearing the whales (i.e., in real time), demonstrating a new and powerful tool for managing interactions between whales and human activities. 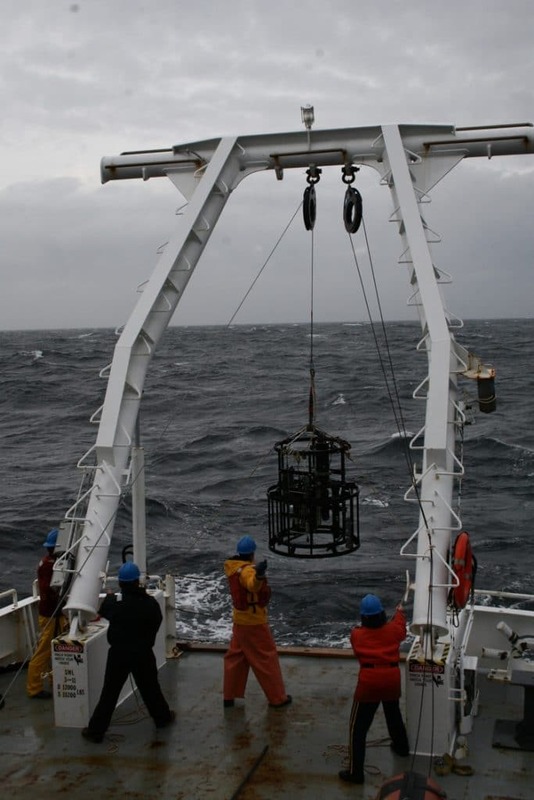 The success of the project is a result of years of productive collaboration among engineers, biologists and physical oceanographers at WHOI, scientists at the NEFSC Protected Species Branch in Woods Hole, and federal funders like the Office of Naval Research and NOAA’s Applied Science and Technology Working Group Program via the Cooperative Institute for the North Atlantic Region (CINAR). 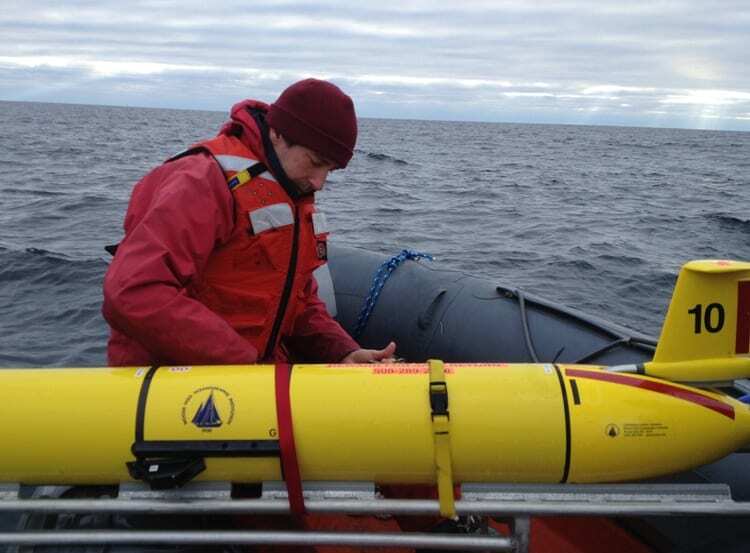 The gliders are operated by Fratantoni, a physical oceanographer; the DMON acoustic monitoring instrument was developed by WHOI engineers Mark Johnson and Tom Hurst; and Baumgartner, who has nearly a decade of experience identifying whale calls, wrote software for the DMON to enable it to recognize unique calls of sei, fin, humpback, and right whales, and to keep a tally of when and where it heard each call. 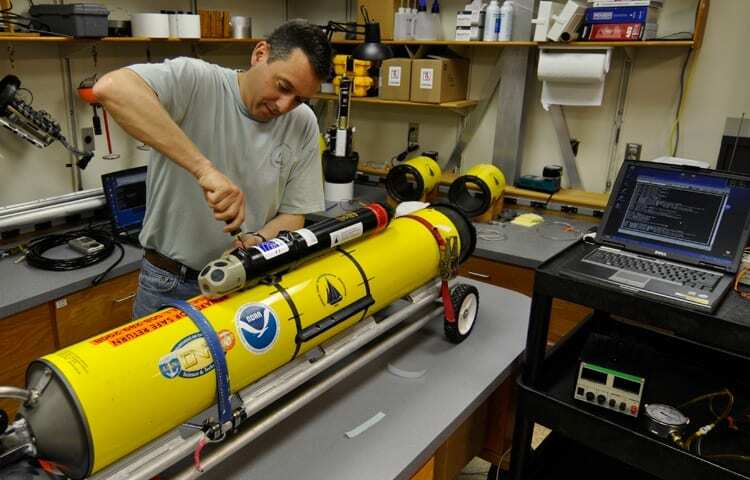 By integrating the DMON into Fratantoni’s gliders, the team had the ability to search large areas of the ocean and to receive data in real time. “No one of us could’ve done this project alone. 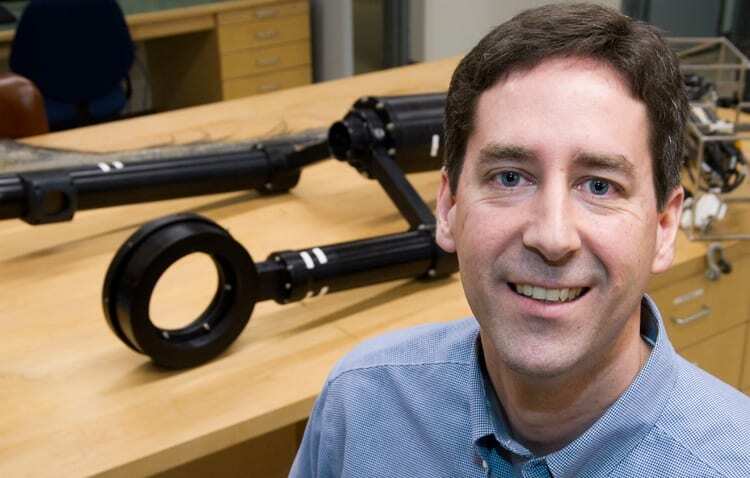 But by teaming up, we created a really nice group of people with expertise that was tailor made for this problem,” says Baumgartner. 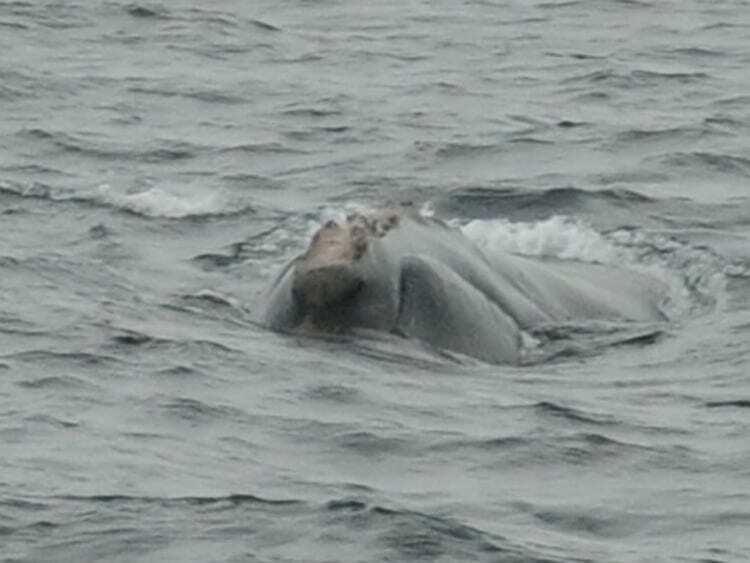 “Now, we can know that there’s an animal in a particular part of the ocean within hours of a call being made, as opposed to months later,” when the instruments have finally been retrieved and the data has been reviewed. 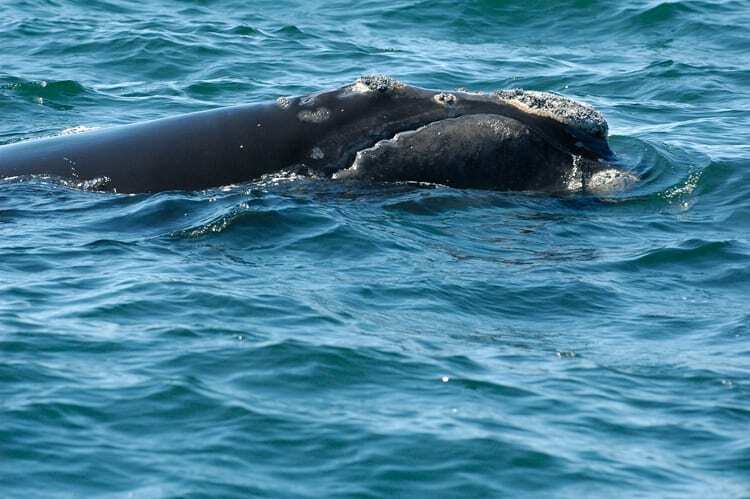 Additional team members included representatives from the New England Aquarium who maintain a catalog of right whales and are experts in identifying individual right whales from patches of thickened skin on their heads, called callosities. 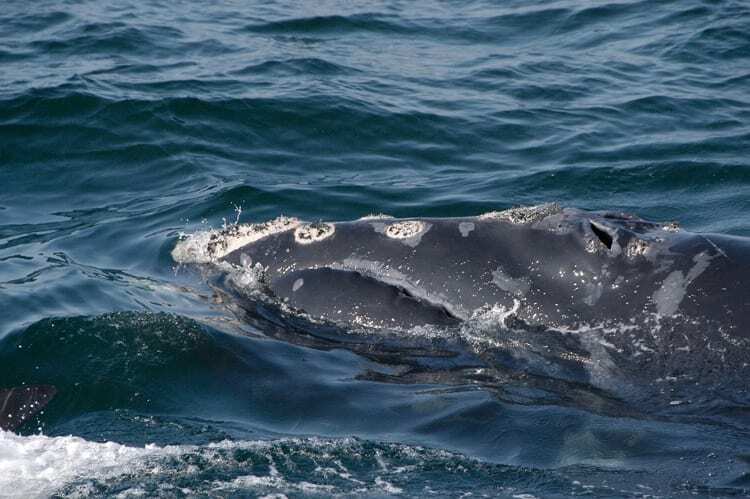 Through their efforts, the team recognized four of the individual whales sighted during their week on the research ship — two males born in 2006, one male born in 2004, and one female born in 2008.